Yesterday, INN presented Part 1 of our two-part interview with CCP Delegate Zero. In this installment, we continue to look at the process of creating EVE’s story, and how player volunteers help with one of the unsung balancing acts of EVE Online. 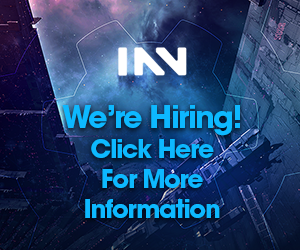 INN: Right now, there’s a lot of stuff going on. It feels like we’re at a more lore-driven point than we have been at certain points in the game. If players are looking to get involved in that, for ways to help out, is there something they can do? Like the various volunteer programs, do any of those assist with what you’re doing? DZ: I have a group of volunteers, the New Eden Correspondents team with in the Interstellar Services, the ISD. That’s what we call our volunteer team as whole, and then there’s divisions within that, and the one that helps me is the New Eden Correspondents. We have a recruitment freeze at the moment. We’re just sorting out a few things, but I have a little group that’s producing a lot of fiction. That’s helped me put out more game world news, and they also have helped with some of the things that have gone into the game, some item descriptions, some of the live events, some of the lore trinkets they’ve helped with. So that’s there, and we’ll see how the volunteer program goes. I can’t really speak to that too much, unfortunately. But just, as players who want to enhance or get involved with story stuff, roleplay stuff—there’s a funny thing in EVE, this sort of fear, really of roleplay? And it’s super-mythological, because when we have fanfest or other player events, I’ll constantly have null-sec or wormhole players talking to me about lore, or roleplay. And again, if you’re playing a science-fiction game, why are you playing a science-fiction game? The answer is: you’re interested in science-fiction, at some level. You don’t even need to go to the sort-of banal idea of ‘everybody’s roleplaying’. Well yeah, kind of everybody’s roleplaying, but I think it’s more that everyone is interested in that. They’re choosing a science-fiction world as their escapism, or their hobby, or their alternate life, at like, the highest level of it. And that’s great. But I personally get a lot out of reading the Intergalactic Summit—the forum on the official EVE Online forums. I can’t always use all of that stuff, but it lets me play around with some story threads that more closely tie together player-initiated story and background story for an in-game faction, whether it be an empire or a pirate faction. I do pop in on occasion to places like the tweetfleet slack lore and roleplay channels, and there’s a roleplay discord that I pop into, but my bandwidth for interacting there is fairly low. The answer, really, I think is try to get involved at the level you’re most comfortable with, with the story. If it’s of any interest to you, try and do stuff with it. And also, don’t be put off or intimidated by how dense it is. It is a pretty dense and diverse, and complicated body of lore. I think that’s mostly because again, if you include the pre-release, it’s over twenty years of lore. People get put off a little too easily sometimes. I can understand that, it’s human nature. It can be daunting, but just keep trying. Getting into the lore is like getting into 0.0 maybe, or getting into low-sec. Maybe the leap is important. INN: You mentioned the New Eden Correspondents have been helpful in getting a lot of things written up. Does that process come from you saying ‘here, I need this written’, or them saying ‘hey, I had this thought…’ and then you editing that down to determine ‘we can use this’ or ‘we can’t use this’? DZ: That’s a great question. It’s a mix. It ranges from something like I want to do… well, let’s get super-specific. It’ll range from ‘I have this specific thing I want to do with this faction or this couple of factions. I want this to happen, could you write it up for me?’ and then I’ll get that piece or series of pieces and edit them and be able to publish them, to ‘here’s an idea, maybe we could do this kind of thing with this faction’ and then just very much the case that I’m open to original news pieces from volunteers. The latest one I just put out was a original idea from one of my volunteer writers that I was quite happy to put out. And a lot of them are original ideas. The majority, I would say, are where I say ‘I’d got this kind of theme, this thematic arc, that I would like to touch on over the next few months, six months, or even year. It’d be great if you could write articles that follow that, please’. And that’s something they’ll happily do, but also they can write up stuff that doesn’t necessarily touch on that. I’m very open to looking at that and publishing that. Where it’s most helpful to me is really high-quality stuff, and I’m usually just doing an editing pass or a final rewrite pass, and pushing it out. I would say of the total world news in the last twelve months, let’s say, something like 60-70% of it was done with heavy involvement of the New Eden Correspondents. Because unfortunately, while people would like to see a lot of game world news, and very understandably so—and that’s not an unfortunate thing—a lot of my bandwidth is taken up by other stuff. 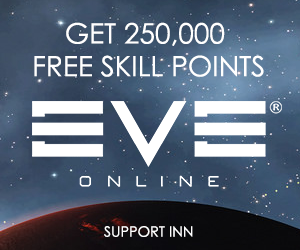 INN: Only so many hours in the day? DZ: Only so many hours, yeah. INN: I can imagine that trying to populate a cluster of tens of trillions is a bit much of a job for any one person. DZ: Yeah, the scale thing is a funny thing. It’s difficult to get right. The thing I’m most conscious of, the biggest issue storytelling in EVE, and related to bandwidth is that it’s very easy to fall into the trap of sidelining core factions. You know, the Gallente, Minmatar get sidelined for a year maybe, and then it might flip, and the Amarr might get sidelined for a year. I don’t think I’ve succeeded yet, but one of the things that I’m working on, or at least thinking about all of the time, is trying to avoid that, so there’s something for everyone most of the time. Probably one of the things that’s problematic as well is the pirate factions. But yeah, it’s problematic, because of the bandwidth. INN: On that note, do you think it would be more beneficial to do things where the empires or other factions intersect, rather than entirely with one? DZ: This is actually a really interesting question. It would seem, wouldn’t it, that one of the ways to address that would be to run arcs or pieces where there’s an intersection like that. Where it’s Amarr/Minmatar or Gallente/Caldari. Or maybe something novel, or less in the rut, like a Caldari/Minmatar thing, Gallente/Amarr, having interesting diplomatic relationships that you might not think would happen. Or over on the pirate side, Angels and Minmatar, underworld connections, that kind of thing. It would seem that ok, well, you get a two for one there, or maybe a three for one or even four for one, but it’s a very tricky balance. And this isn’t a reason to stop doing it. But what I’ve discovered is the balance is tricky to achieve because what will happen is that for some reason the reception tends to be focused on one faction. And it’s a bit odd, but I think it’s probably a consequence of this widespread perception that factions haven’t had much love. So there’s a little of ‘well, prove it, CCP. Prove you’re going to give love to the factions’ before people will buy into it. And I think that understandable, and I’m not complaining about it in any way. I think it’s understandable that people feel like ‘my faction hasn’t had much love, and then when my faction comes up, oh well this is a negative thing about my faction’. INN: As an example, we had a period where for whatever reason, people felt like the Amarr were getting a lot of spotlight. DZ: Yes. By the way, I think that’s objectively true. INN: And then something happens involving the Minmatar, and there’s an Amarr tie-in because, well, the two empires deal with one another directly, they’re natural antagonists. And a lot of the Minmatar players might see that as ‘oh, see, it’s really just ancillary to more Amarr stuff’. Do you get that a lot? DZ: Yes. And again, I think it’s understandable, because I think it’s objectively true that Amarr had quite a lot of spotlight for a couple of years. Some people might say longer. I’m not sure that’s true, but certainly, for a couple of years, focused around the two years that sort of pivoted around the coronation. Well, the death of Jamyl and the succession and coronation. That’s kind of a lot of Amarr storyline. And then when there’s a Minmatar story where the Amarr are involved, yes, you get that reaction. It touches a little bit on, well, quite strongly, I think there’s a desire amongst role-players who are interested in all factions to explore outside the ruts. You know, why is a Minmatar storyline always touching on slavery, why is an Amarr story always touching on arguments about the Reclaiming? Why is a Caldari storyline always about corporate capitalism, etc, etc, and what is the Gallente storyline even about? Sometimes it’s a question, and kind of fair. It is fair, there’s no kind of in there, it is a fair point. And so, actually, one of the things the volunteers are very interested in is exploring outside the ruts, and that’s something I’m happy to work with them on, and also to have feedback and look at ideas that come from players on this. One of the storylines, a little two or three-piece arc that we ran recently was about a thing that was completely internal to the Minmatar had to do with an archaeological dispute. More of that kind of stuff. INN: Right, that was the storage systems that were found. DZ: Yeah, ndokassi, I think they were called. INN: That, I think, was handled very well, and a lot of the roleplaying community really liked the way that resolved without being some big ‘look, the Minmatar are being savages again’. DZ: Yeah, so that was sort of the pitch. That came from a couple of the volunteers. Mostly what came from the volunteers was to do a cultural storyline. Archaeology’s interesting, because archaeology’s a super-important part of the Minmatar milieu at the moment, because—and ironically for what we just discussed, it does touch on the slavery thing, because the Minmatar are so deeply passionate about archaeology because of their lost heritage. But, still, that just goes to the fact that the Minmatar are where they are. INN: Right, it’s the difference between ‘this story is about slavery’ and the fact that the entire Minmatar culture has been shaped by the fact that they were enslaved. DZ: Yes, that’s right. And that’s an interesting thing. Another thing that’s interesting to explore: the Gallente are interesting, really interesting, more interesting—and it’s unfortunate—than they appear to be. I mean, they are the hyper-capitalists of EVE. This is one of the ironies, I always think it’s a real deep irony, the Caldari are not the hyper-capitalists of EVE. The Gallente are. Caldari are more like a… command economy isn’t the right word at all… they’re more like the zaibatsu of Japan, these vertically-integrated megacorps. They have a certain amount of specialization, but still. They do tend to plan things out quite a lot within the corporate State. It’s not like laissez-faire capitalism, whereas the Gallente Federation is hyper-capitalistic laissez-faire to a surprising degree if you get this impression that ‘oh, the Caldari are the capitalists’. INN: Where they’re really more of a corporate oligarchy. DZ: Yes, I mean, my thing is the Caldari State has eight citizens: the megacorps. INN: In the interests of bandwidth and not taking up all of the hours in your day, is there anything else you’d like our readers to be aware of? DZ: I think the central point would be that we are, the group that I’m working with—which would be the Creative Director, CCP Burger, CCP Loki on the video creative side, and game director and game design as a whole—the effort is really on that sweet spot, of how can storyline narrative enhance the science-fiction fantasy, and this recognition that it operates at different levels. So there’s stuff that people can have a deep dive into, and there’s stuff that’s in the environment, that enhances the experience as you play the game. And it’s definitely this ‘let’s not fall into the extreme of oh, players are enough content’, because that is an extreme. While equally, the content map of just churning out content that was the super-old MMO way, that’s an extreme, too. And for us it’s all about finding the happy medium where players can tell their stories within this sandbox that is defined by the IP pillars. Where they’re not constrained, they’re not all these rules that people can point to and say ‘well, you can’t play it that way because of X’. I think that’s kind of unhealthy. So it’s all about that narrative sweet spot, and providing material people can use in their own gameplay and their own stories. INN would like to thank CCP Delegate Zero once again for taking the time to speak with us. We look forward to seeing the continuing story his team creates, as it unfolds over the next six months and beyond.